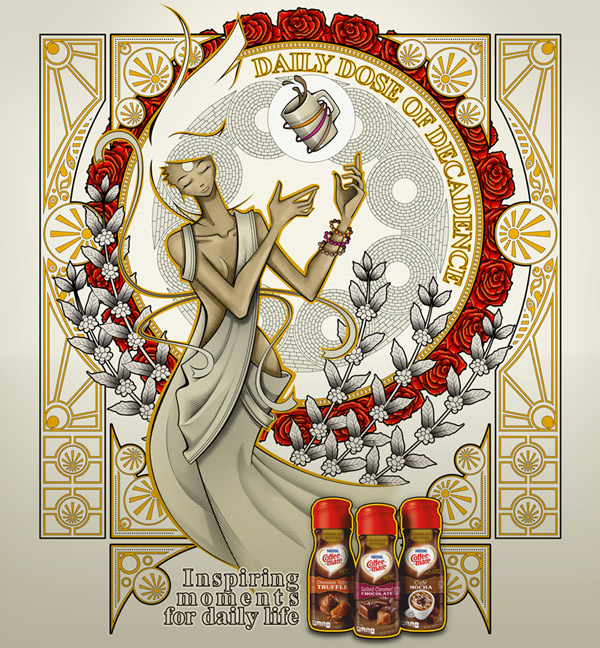 Nestlé invited visual artists worldwide to bring to life Coffee-mate’s new Chocolate Boutique “Daily Dose of Decadence” flavors. 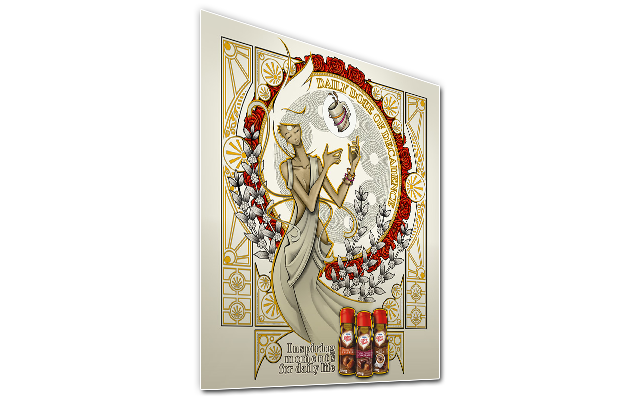 The idea for my poster was to create an image that was about excessive self-indulgence and rejuvenation. I wanted a visual that expresses joy, desire and regeneration.